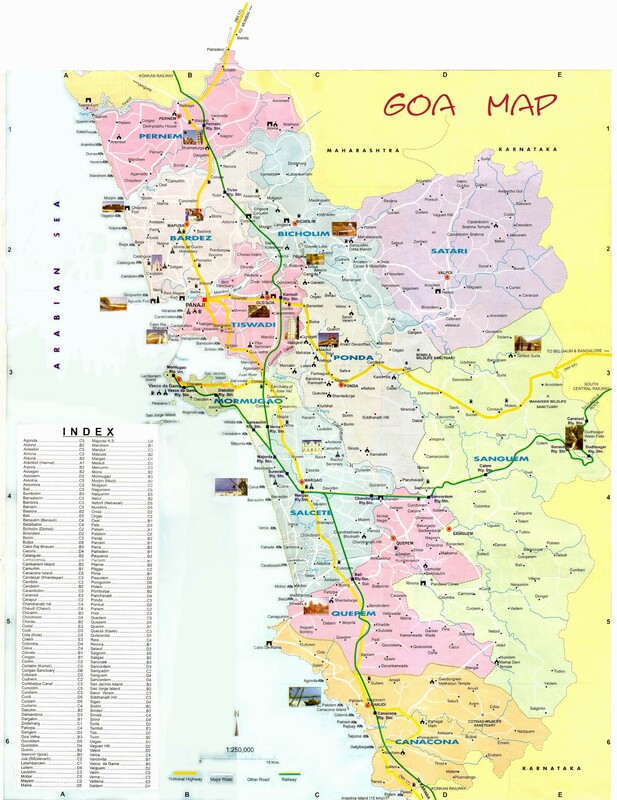 If you want make honeymoon or family holiday to Goa India better you have Complete Goa India Map for Tourists Guide to make your holiday more effective an efficient. Goa is one of popular tourists destinations and attractions in India. 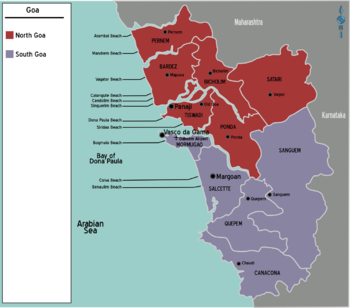 Goa India divide int two region are South Goa (Sanguem, Salcette, Quepem, Mormugao, Canacona) and North Goa (Tiswadi, Sattari, Ponda, Pernem, Bicholim, Bardez). Many things to do in Goa India like enjoy at Beaches(Bogomolo beach, Polem beach, Palolem beach, Dona Paula beach, Colva beach, Candolim beach, Calangute beach, Anjuna and Vagator beach, Agonda beach/Turtle beach), Dudh Sagar Waterfall, Mahavir Wildlife Sanctuary , Dr. Salim Ali Bird Sanctuary, Cotigao Wildlife Sanctuary, Bondla Wildlife Sanctuary, museums in Panaji, Old Goa, Shree Manguesh Shantadurgai Prasanna Temple and many more.